drpoplove is here again to help you to improve your FIFA skills. 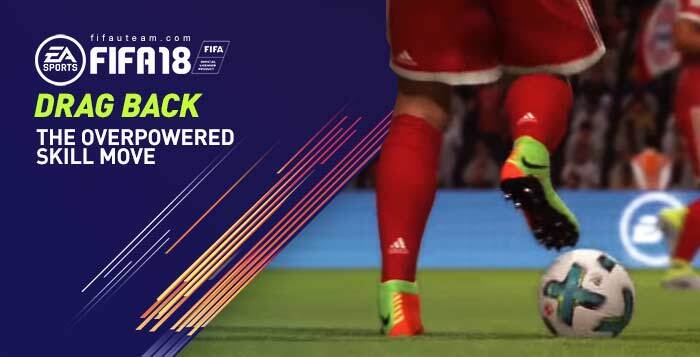 Today, he will show you how to perform the FIFA 18 Drag Back, the overpowered skill move. Hey comrades, welcome to the latest FIFA 18 Academy post. Let’s take a look at what genuinely might be a skill move that’s a little overpowered at the moment. Will it get patched at some point before December? Will we figure out an easy way to defend it? No one knows for sure, but either way, you should add the Drag Back to your repertoire. Quickly flick the left stick towards the opposite direction of where your player is facing. So if you’re facing towards the left, you hold R1 then flick the stick to the right. You’ll get different animations and speeds depending on your player’s momentum prior to the skill move. It’s so freaking easy to do, and everyone in game right now pulls it off well. You can crush it with Casemiro, who in theory should not be able to quickly bust this move out. This move can generate space for you, anywhere on the pitch. Use it in the box or the edge of the box to bait your enemies into making a crummy tackle. Use it on the wing to shift play. Use it in midfield to quickly change your attack’s flow. Use it on annoying children in real life and then kick them in the face. You can combine these 2 simple skill moves for some nice results. So start by doing the Drag Back, then as the animation for that plays, initiate a fake shot in a specific direction. To do this, hold shoot then before your shot is done, you cancel with pass as you move the left stick in whatever direction you want. This will make you super unpredictable with any player, since virtually everyone can do it. As long as you don’t keep spamming it in the same direction, you’re bound to confuse your enemy. They’ll be sweating more than your mom at the sauna. Relax, I’m juuuuuuuust kiddiiiiiiiiinnngg. Your mom and I haven’t been to a sauna yet. Keep in mind that skill moves are always worse off against the AI, the AI knows your inputs so you really gotta confuse it with some spamming or god-tier timing. Unbelievably easy and yet efficient move…. I am gonna go cause some damage!